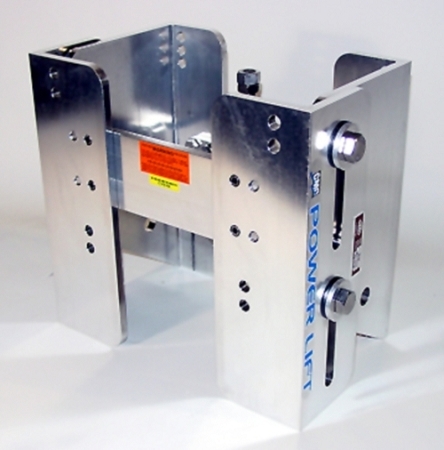 The motor bracket moves up and down on the transom bracket by use of rollers machined from aluminum-bronze alloy. There is 5" of slot adjustment on the ML-65. This unit also has 1-1/2" of adjustment at the transom bracket. 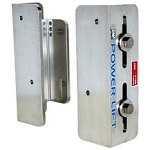 The manual Power-Lift is designed to fit the standard BIA bolt pattern without drilling holes or making modifications in the boat or motor. The ML-65-10 is rated for V-6 (300 H.P.) and smaller motors. (61012) 10" Setback.